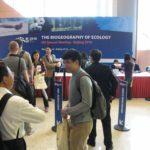 The International Biogeography Society holds two main types of meetings on a regular basis – biennial conferences, and smaller ‘off-year’ meetings. Both are fantastic opportunities to share knowledge and make connections with biogeographers around the world who might not normally cross paths. Held the 2nd week of January in odd numbered years. A changing location but consistent format, with ~ 400-600 biogeographers from over 60 countries. Check out the next biennial meeting! The International Biogeography Society hosts its’ main conference every other year, in changing locations around the world. With a community of biogeographers that spans more than 60 countries, participants visit locations of biogeographic interest, while making and maintaining connections with new and established biogeographers from all corners of the globe. 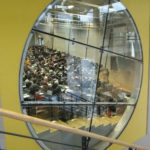 The format is split between 3-4 broad topic symposia that all participants attend together, 3 half-days of concurrent talk sessions, and 2 fantastic poster sessions. Fieldtrips and workshops round out attendees abilities to learn new techniques and info, and make connections – a 5 day event in total. The result? 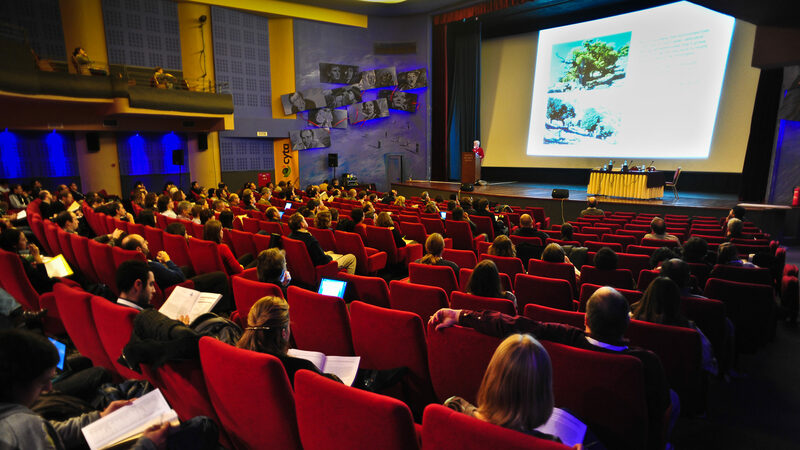 A more shared conference experience for attendees, while catching up on new and exciting developments from a wide array of biogeography related topics. Held at varying times of the year, smaller than the biennial, with great regional flair! Check out the next off-year meeting! Between the biennial conferences, at varying times during the interim year, the society holds 1-2 smaller, regional or topically-focused special meetings. The goal for these off-year meetings lies in reaching out to locations that have great biogeography communities that may not often make it to the biennial conferences in force, and/or more fully covers a topic of specific interest within biogeography. Smaller in size (typically between 150-350 attendees) and more variable in format and time of the year – these meetings make for an immersive experience each time.